Enjoy 15% OFF waxing and facials during the month of your birthday! -Must be used during your Birthday Month. -Cannot be combined with other offers. -Valid for one treatment, on one day. -Can only be used for current clients. ​Get 15% OFF your next visit. -Discount can be used towards one treatment. ​Get 10% OFF same wax. The Body Boutique makes a special effort to schedule the appropriate time for each of your services. In return, we require a card to hold on file and at least 24 hour notice when changing or cancelling scheduled appointments. If our cancellation policy is not respected and followed your account will be charged in full for the treatments booked. 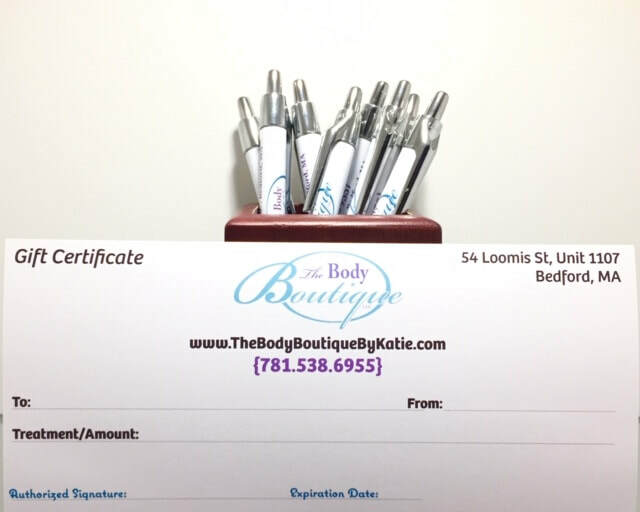 Electrolysis, Waxing, Facials, Bedford, MA, Lexington, Concord, Carlisle, Hair Removal Spa Perks, perks, referrals, birthday, wax, waxing, The Body Boutique.